You’ve experienced the outstanding services of Spifco, why not tell your friends? 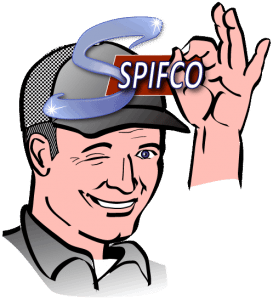 Spifco’s Success is a Direct Result of the Good Word of Customers Like You! As a way of expressing our gratitude, we say “Thanks” for each referral you send our way with a Referral Reward Certificate redeemable for cash or future credit for any of our services in the amount equal to 10% of whatever your friend spends with us! Introduce your friends to SPIFCO’s great services – tell them about our FREE TRIAL OFFER!